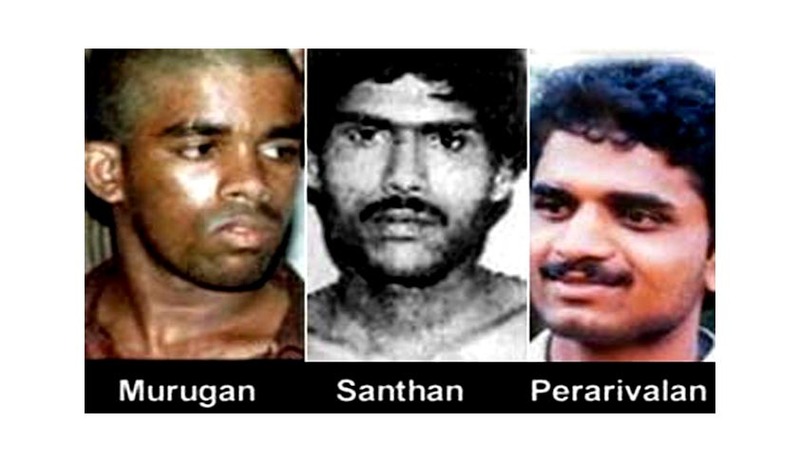 Supreme Court today refused to review its judgment commuting the death sentence of three convicts in the Rajiv Gandhi assassination case, Murugan, Santhan and Perarivalan, into life imprisonment. A three Judge bench comprising of Chief Justice P. Sathasivam, Justice RanjanGogoi and Justice Shiva Kirti Singh passed the short order dismissing the Review Petition holding that there is no merit in the petition. The Bench had already rejected the review petition filed by the Centre against the January 21 verdict commuting the death sentence of 15 convicts, including some of the associates of forest brigand Veerappan. The convicts in the Rajiv Gandhi assassination case were granted pardon applying the principles enunciated in the January 21 verdict. It was contented by Centre in its review petition that the court did not consider the merits of the case and also ventured into the domain of the Union’s power in commuting the death sentence. It further contended that the February 18 judgment was passed without jurisdiction by the three-judge bench instead of by a larger bench of five judges as the case involved substantial interpretation of law and provisions of the Constitution. According to Union of India, Supreme Court interfered with the order of the President rejecting the plea for mercy without its jurisdiction. Rajiv Gandhi was killed in 1991. In January 1998, a TADA court convicted his assassins who were awarded death sentence, and the apex court on May 11, 1999, confirmed their death sentence. The three assassins – V. Sriharan alias Murugan, A.G. Perarivlan alias Arivu and T. Suthendraraja alias Santhan – sought the commutation of their death sentence to life imprisonment on account of the excessive delay of nearly 11-years in deciding their mercy petitions. On February 18th Supreme Court granted relief to the three convicts in the Rajiv Gandhi assassination case, Murugan, Santhan and Perarivalan, by commuting their death sentence into life term on the grounds that the 11-year delay in deciding their mercy petition by the Central government, which had a dehumanizing effect on them. Meanwhile Supreme Court has stayed the Tamil Nadu government from releasing of Rajiv Gandhi’s assassins who are serving life terms saying that it will decide whether the Centre or the state can decide on freeing all seven convicts in the case.